Alfred, King Of England, 849-899, Hereward, Fl. 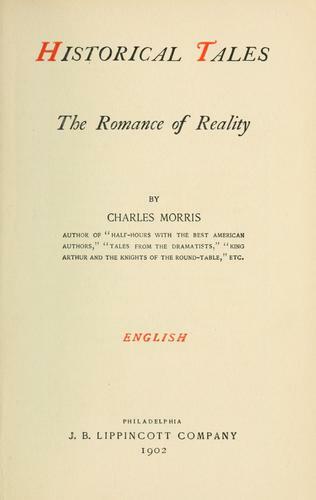 1071, Wallace, William, Sir, D. 1305, Robert I, King Of Scotland, 1274-1329, Tyler, , Publisher: J.B. Lippincott Co..
We found some servers for you, where you can download the e-book "Historical tales" by Morris, Charles EPUB for free. The Free Books Online team wishes you a fascinating reading!